The Best Food for Cichlid Color: A review of the Top 10 Brands of cichlid flakes and pellets for enhancing color in small to large cichlids. The fun of keeping cichlids is enjoying their wonderful behavior only to be matched by their coloration. With advances in science and advanced technology you can amplify the colors of your cichlids with fantastic color enhancing cichlid flakes or pellets. This is a current collection of the top 10 foods available for cichlids in flake and pellet forms. Supplementing their diet with color enhanced foods will keep cichlids looking great and in optimal health. This color enhancing flake food is the perfect supplement to the diet of any cichlid. Designed for the omnivore with higher protein to fat ration than stand flakes. Plus these flakes contain carotenoid laden yellow and red flakes and offer balanced nutrition as its core formula. The Crude protein amount is (min) 46% to promote brilliant color in freshwater cichlids. These flakes are known to be relished because of its taste. A popular color enchanting floating pellet high in beta carotene and NS Germ, which brings out natural brilliant colors. Contains stabilized Vitamin C and will not cloud water. Meets the needs of all types of cichlids for daily diet use. Hikaris exacting quantities produce food that bring out brilliant colors of your cichlid and promotes long healthy life. Contains carotene, white Fish Meal, Wheat Flour, Wheat Germ Meal, Brewers Dried Yeast, Soybean Meal, and Shrimp Meal. Loaded with Astaxanthin, this food brings out natural and brilliant colors in fish. This is a sinking pellet that will not cloud water. Cichlid Gold Supports immune system health and proper form in large cichlids. Hikari uses the highest grade of ingredients formulated in exacting quantities to produce a food that will bring the brilliant colors of your fish to life, fish clearly enjoy the taste. Made with a unique blend of A unique blend of marigold, chili powder and natural astaxanthin brings out the brilliant colors in cichlids. These are slow sinking pellets that contain premium nature ingredients like krill and shrimp and will not cloud water. The bag is resealable to maintain freshness. Aqueon food promotes taste to attract the pickiest eaters while its formula keeps fish healthy and energetic. This is a high tech premium fish food for color enhancing. 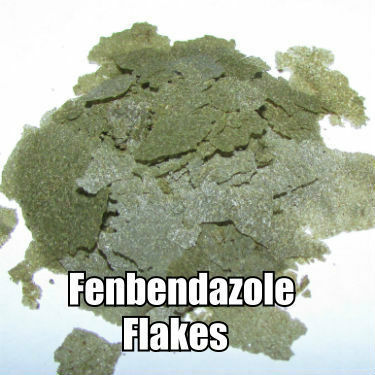 Contains naturally occurring probiotic bacteria into every flake, which improves digestion, resulting in less waste. Super-packed with immunostimulants and a triple-vitamin boost which helps the fish fight off disease and helps to keep in top shape and color. Ingredients include salmon fish meal, freeze dried plankton, and freeze dried krill, dry spirulina algae and numerous vitamins. These floating pellets are highly nutritious color enhancing pellets that promote superior growth and clear water. Comprised of green veggie pellets that contain healthy spirulina algae meal that is rich in natural carotenoids. Their unique formula is made up of a high high protein Peruvian anchovies as well as Cod, Haddock, Halibut,Herring, Pollack, Mackerel, Whiting and Red Fish. 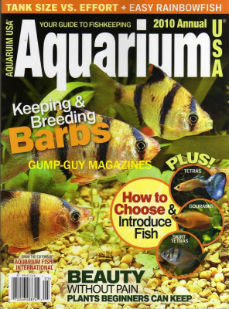 For superior color enhancement in cichlids such as Flowerhorns and Red Parrots. This new formula helps fish look great, feel healthy and meanwhile keeps your water clean. Fortified with astaxanthin and spirulina to quickly and naturally enhance color by using Premium krill meal and fish meal for better taste. Contains Natto Probiotics which helps digestion and thus reduce water contamination. Contains Astaxanthin & Spirulina which quickly enhances color and attractiveness to your pet naturally. These small color enhancing sinking pellets are designed for your cichlids to thrive on. Contain the same great nutrition and unsurpassed palatability as the existing lines made by Omega, but made even better. Packed full of vitamins: Vitamin A Acetate, Vitamin D3 Supplement, Vitamin E Supplement, Vitamin B12 Supplement and whole salmon, halibout, whole shrimp, krill, fresh kelp, wheat flour, Lecithin, Astaxanthin, and Zeaxanthin. From a name you trust, Wardley’s formulated cichlid flakes with an optimal blend of ingredients to deliver superior nutrition and color enhancers. This product is fortified with Fish Meal, Wheat Flour, Rice Flour, Corn Gluten Meal, Fish Protein Concentrate, Soy Protein for growth and vitality of all cichlid fish. Designed for most types of African and both South and Central American cichlids to enhance natural colors in cichlid fish. These are high quality floating pellets with high protein content to ensure ideal appearance and health. Contains high levels of color enhancing pigments, spirulina and stabilized Vitamin C, including all necessary vitamins. Will not cloud the water and can be fed regularly.